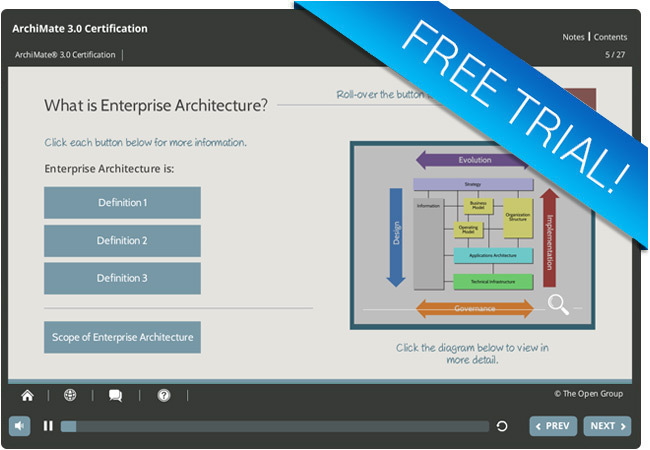 Upon completion of this course, participants will have gained a thorough knowledge of the terminology, structure and concepts needed to pass the ArchiMate 3.0 exam. As such, participants taking this course will have met all of the learning requirements required for ArchiMate 3 certification. This online training course uses the latest technology to provide participants with an interactive and visual learning experience. The course includes audio and video tutorials, interactive lessons and quizzes.